An unflinching look at the #FeesMustFall student movement that burst onto the South African political landscape in 2015 as a protest over the cost of education, and morphed into the most militant national revolt since the country’s first democratic elections in 1994. The story is told by four student leaders at Wits University and their Vice Chancellor, Adam Habib, a left-wing, former anti-apartheid student activist. When Habib’s efforts to contain the protest fail, he brings 1000 police on to campus. 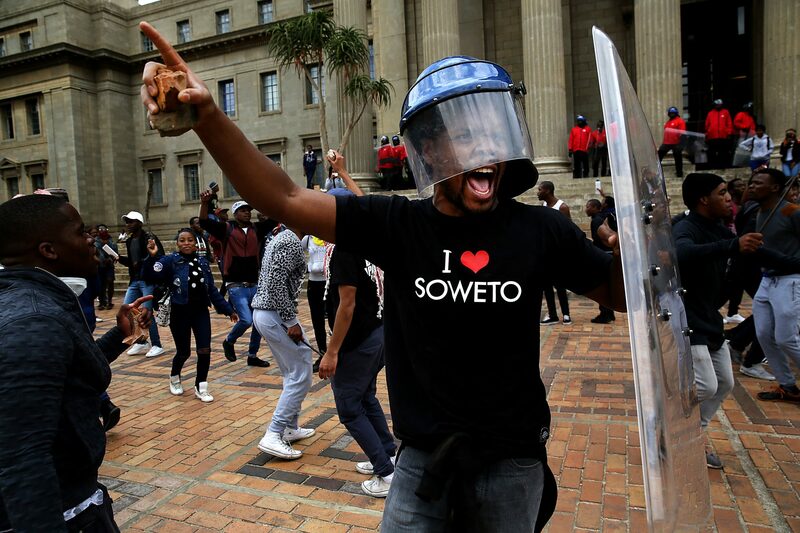 There are dire consequences for the young leaders: Mcebo Dlamini is arrested and charged with serious offences, Shaeera Kalla is shot 13 times with rubber-coated bullets; others, fearing the involvement of the state security agencies, are forced into hiding. At the heart of the film sits an intergenerational conflict connecting us to an important contemporary discourse on the conceptualisation of higher education as a public good. To date, there have been unprecedented numbers involved, three deaths and 800 arrests. By blending dramatic unfolding action with a multi-protagonist narrative, much of the drama lies in the internal struggles the activists have around the weight of leadership. Threaded through the film is a pulse of anticipation, shared across the generational divide, that somehow these youth have reached breaking point and won’t back down until they achieve the kind of social transformation, that previous generations had long given up on.